Composting is an environmentally helpful way to improve your garden soil and reduce waste. Yard waste and table scraps can make up a large part of household garbage which could be turned into nutrient-rich amendments for your garden with the right compost recipe. Even if you only have a small garden, composting is one of the most important activities you can do to save money and prevent waste from unnecessarily ending up in a landfill. Some people mistakenly assume that compostable materials thrown in the garbage will break down and feed the soil in the landfill. But throwing vegetable and garden scraps in the trash means it will be surrounded by garbage and not have the proper compost recipe. Instead, it releases harmful methane gas into the environment. 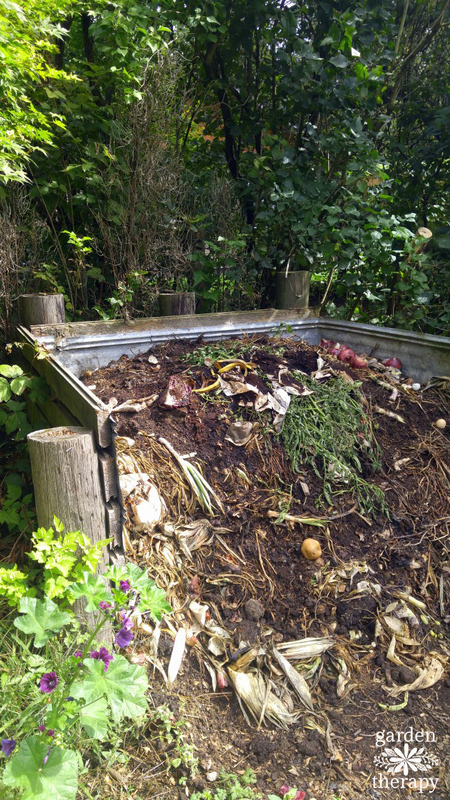 Composting isn’t difficult, but it isn’t as simple as just throwing your kitchen scraps and garden cuttings into a heap and checking on it a year later. Eventually, those items will break down and create compost, but it is much faster, cleaner, and more effective knowing the proper compost recipe. Let’s make some compost, shall we? Healthy compost results from a combination of four ingredients: greens, browns, air, and moisture. Green compost ingredients are those with higher nitrogen content such as grass clippings, kitchen scraps, and garden trimmings. These materials rot quickly and are full of the compounds needed for fast microbial growth. They are usually quite wet and heavy and can get stinky fast unless you balance them out with enough brown material. Brown compost ingredients are those with higher carbon content such as paper, shredded woody material, and straw. Browns are dry and bulky, creating space for air to reach the greens. They do not decay rapidly without greens because they do not hold enough moisture. Are Fallen Leaves a “Brown”? Color alone is not a good indication of what is considered brown materials. Deciduous leaves that have fallen and turned brown, as well as chopped up tree and shrub clippings, have higher nitrogen balance than true “browns.” Leaves and chopped-up clippings are excellent for compost and can decompose readily on their own, without a need for additional greens or browns. You can choose to compost these materials from the garden on their own, or mixed in with the 1 part green / 2-3 part brown mixture. 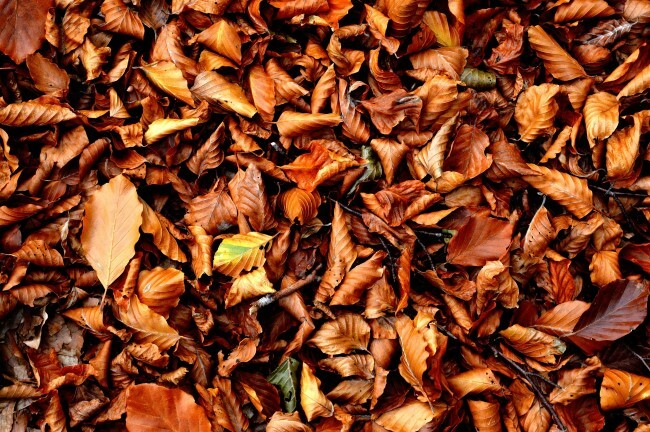 Just be sure not to replace the browns with fallen leaves or your compost will be too wet and stinky. Packing layers of green and brown materials into a compost bin is not going to make compost alone. Air needs to be introduced through turning the compost with a fork, an aeration tool, or a rolling composter. As the microbes work to break down the materials, the compost heap will become warm. The heat in the middle of the pile can reach up to 150 degrees F. Turning the compost once a week should be plenty, but to speed up the process, mix the compost every few days to introduce more air and move materials from the edges to the middle. Moisture is also necessary to give the microbes the best possible conditions to break down the material. After adding the materials, water the compost pile and mix it well. It should be damp but not soggy. In dry months you may have to add water, and in wet months you may have to protect the compost from rain. Some materials are full of microbes, bacteria, fungi, soil insects, mites, and worms that will speed up the decomposition process. Add just a small portion of one of these compost amendments to really get the party started. Not everything can go in your home compost bin, although some of these can go in city or county large scale industrial compost bins where the temperatures are consistently hot enough to kill pathogens and seeds. Before you compost these items, be sure to check your local composting regulations. Pesticides and herbicides – Keep your garden healthy without introducing pesticides and herbicides into the compost bin. Compostable grocery bags – Despite the name, these should not go in your home compost bin. Use brown paper bags instead. Citrus fruit – Citric acid kills bacteria and fungus, which is wonderful for cleaning your kitchen but bad for composting. Evergreen clippings – Some evergreens take a long time to compost at home and some resins can slow down and/or inhibit the composting process. Meat, bones, dairy, or animal product food scraps – The home compost doesn’t get hot enough to break these down effectively, and it will attract pests, like rats, to the compost pile. Pet waste – Dog and cat poop can carry pathogens that could be transferred to the soil. Diseased plant material – Diseased or infested plants may perpetuate the incidence of disease and pests in future years. Weeds that have gone to seed – Compost may not get hot enough to sterilize weed seeds. Large logs, thorny branches – Big, woody items will be too large to break down. Chip or grind all large, woody materials instead. Poison ivy, invasive weeds, and other noxious plants – Don’t risk spreading these plants by composting them. If you think composting is yucky or dirty, you aren’t doing it right! Compost should smell fresh, sweet, and earthy. 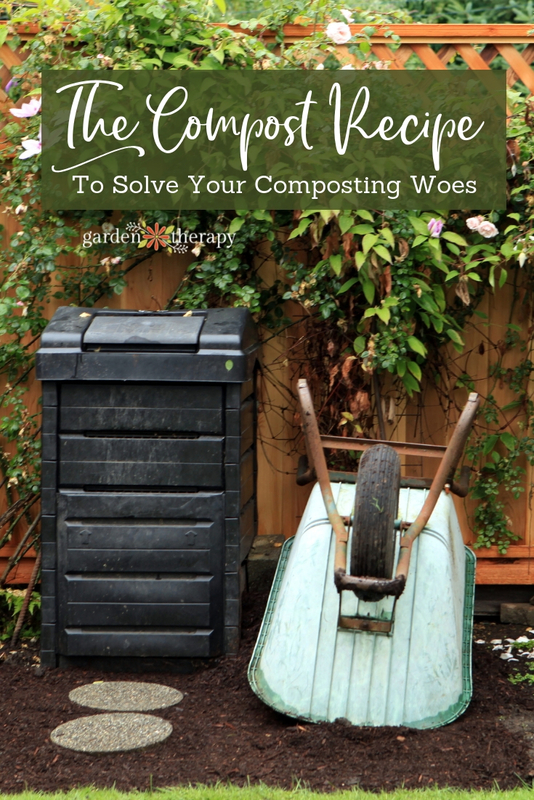 Overly stinky compost is not properly in balance, but it is an easy fix. Too many greens in your compost will become soggy and smell bad. Compost can also start to stink when it is too wet. In both cases, adding more brown materials and turning your compost to introduce air will help to remedy the problem. Fruit Flies, Maggots, and Rats, Goodbye! While the goal of composting is to attract insects and fungus to your compost bin, you shouldn’t need to fight off an army of critters to get into the compost. 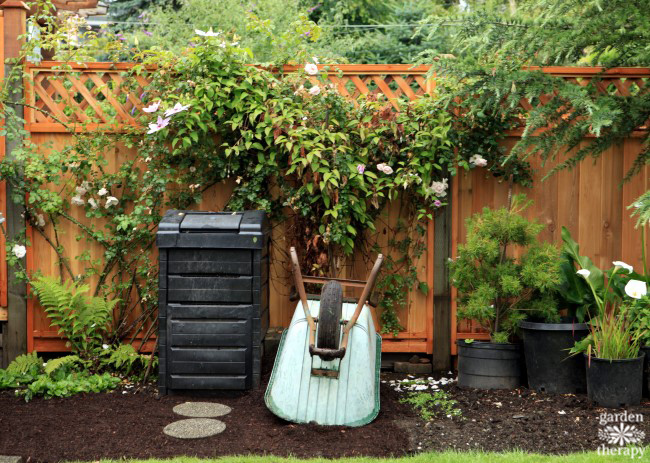 The best defense against an overly active compost bin is, again, balance. If you follow this compost recipe and keep a layer of brown on the top of the compost, you will only attract those critters that are going to work for you to make healthy, nutritious compost. I think this mini tutorial is awesome but about landfills…wouldn’t those be really toxic places for comport to develop anyway? Of course making compost the right way is so much better for the earth!! I can’t believe some people would think otherwise.